Oasis Reveal Remastered Video For D’You Know What I Mean? Oasis have unveiled a brand new version of their classic 1997 video for the No.1 single D’You Know What I Mean? Directors Dominic Hawley and Nic Goffey have completely re-worked the epic video, editing it to Noel Gallagher’s new mix of the track and adding previously unseen footage. The video has been completely re-graded and is now in High Definition format. Nice. Dom and Nic say: “This was a once in a lifetime opportunity to bring the quality of the original video up to today’s high definition standards, and also to look at the film again with fresh eyes and see what we could improve. 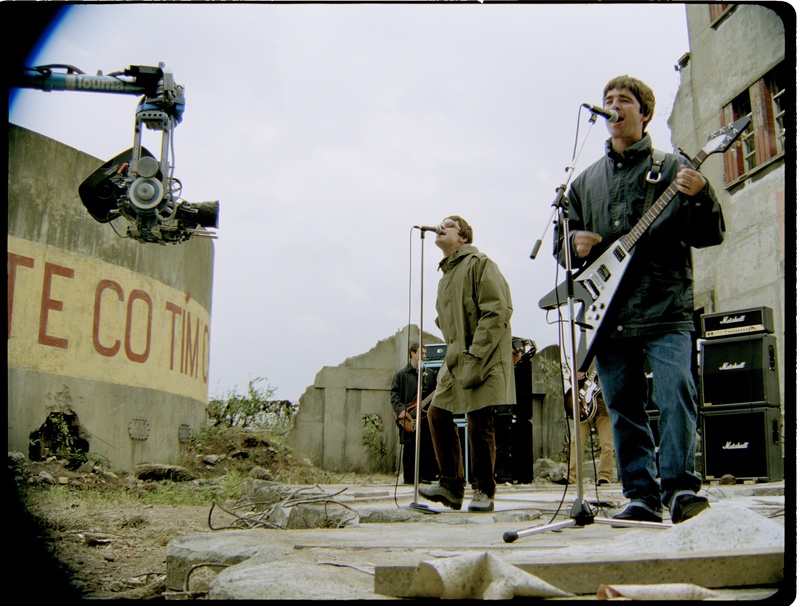 “Back in those heady days we shot the video on beautiful looking 35mm film, then the height of movie making technology, just like it was a feature film. Shooting like that today would be unthinkable for a music video of this scale. The video was shot at the same location where director Stanley Kubrick made his classic Vietmam War movie Full Metal Jacket, ten years earlier. D’You Know What I Mean? (NG’s 2016 Rethink) is part of the new “Chasing The Sun” reissue of Be Here Now, which is released on 7 October. The track is an instant grat with album pre-orders and is also available on all major streaming platforms. It’s available to pre-order here.